The aim of BHVN is to promote positive explanations of voice hearing, intrusive thoughts, and other unusual experiences, and to give people a framework for developing their own ways of coping. In order to cope with their experiences people need to take control over their voices/ intrusive thoughts, and regain some power over their lives. Please note that the self-help group is for people with personal experiences of these issues. To provide a weekly Self-Help group for people who experience hearing voices / intrusive thoughts. To promote Self-Help group as widely as possible in Bristol and surrounding area. To be a point of contact for voice hearers, relatives, and friends. To provide information and informal advice to voice hearers, relatives, friends and mental health professionals. To promote awareness and different ways of understanding voice hearing. 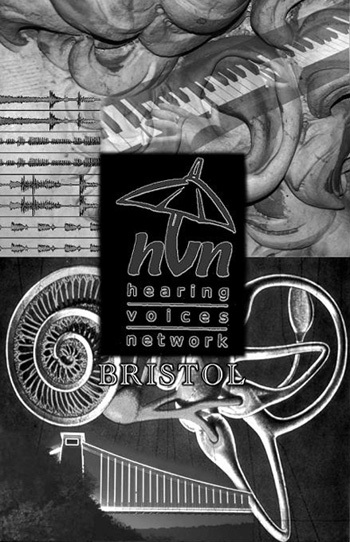 To offer training on voice hearing / intrusive thoughts to mental health teams in Bristol. Do feel free to contact us (see Find Us) to say you might be coming. The facilitator will be there before the meeting, from 2.30 for 3pm start.